Blushing Beauty? 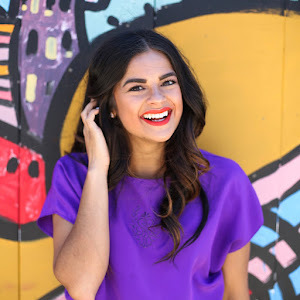 | Priya the Blog | life & style in Nashville & beyond! Guys, I need to stop buying blazers. 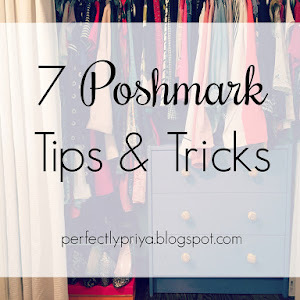 Or, I need to start figuring out how to wear the ones I have, and keep buying them. I think they look so so cute on other people...but I just don't find them to be comfortable! Maybe I'm not buying the correct size? Am I just incompetent? Please advise! 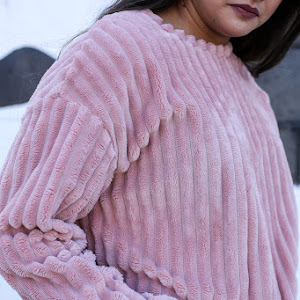 I'm linking up with today with Bri at Work Clothes, I Suppose, for Third Thursday Threads: Blushing Beauty! 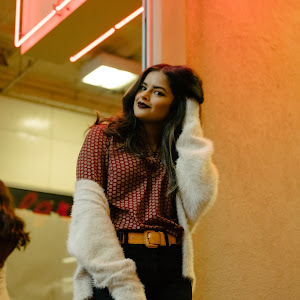 Bri is styling a super cute sweater + blouse combo that you should definitely check out! Now that I think about it, I have a few blush colored pieces that I wear quite a bit (pleated skirt / silk blouse) but I felt specifically inspired to try this blazer for the challenge. I bought it on my birthday last year on a trip to H&M; after seeing it in the store, and yet again thinking, a blazer! How cool! I love the way blazers look! I need it! I just need to stop doing that. This ensemb is interesting to me in retrospect. I mentioned recently how my favorite outfits lately have been a mashup of different styles- this one seems to be a mashup of a BUNCH of different styles. 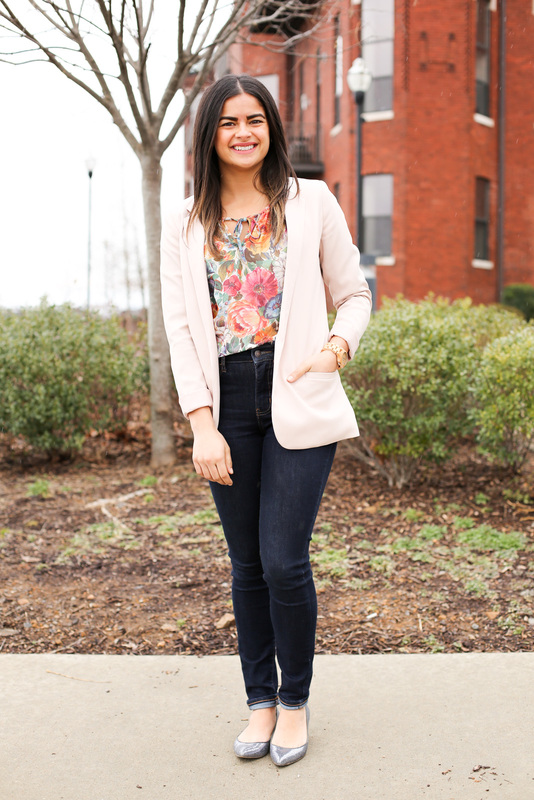 The high-waisted jeans + floral peasant blouse are totally 70's, while the blazer polishes it for the office, and the sparkly flats add a hint of glam. Too much? 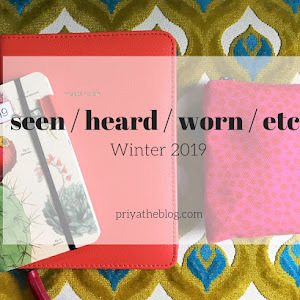 Well, the cool thing about blogging is it's all trial & error anyway! I hope everyone is having a great start to the week! I had a crazy busy weekend, for the most part, so I'm just getting back in my normal groove and hoping for some sunshine. Talk to you soon! I don't find most blazers comfortable either, BUT I do love sweater blazers. You know the ones that feel like a cardigan, but still look super sleek. Those are my favorite! You look SO cute! This pale pink looks great on you! Blazers and I are not friends. Super uncomfortable! But you pull this off so beautifully! 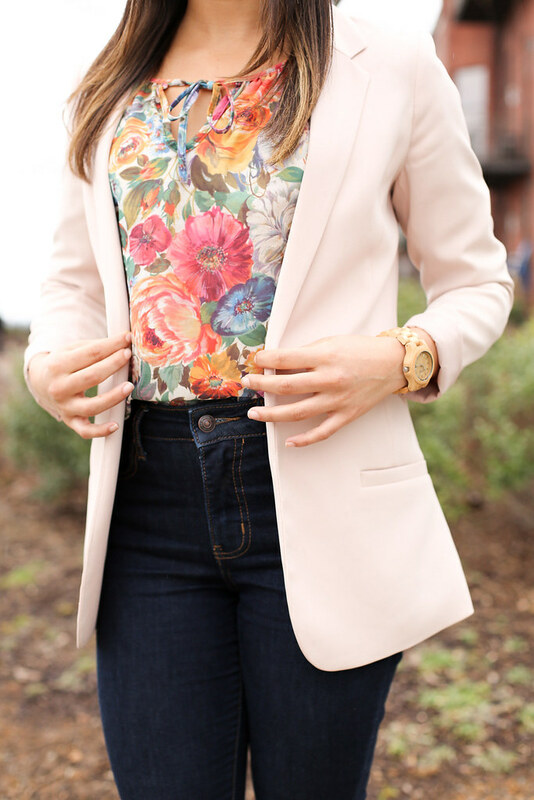 I love the floral top paired with it as well. Super super cute! i feel the same way about blazers..i dont have that many but i dont know how to style them.